Missing gummies in your life?! 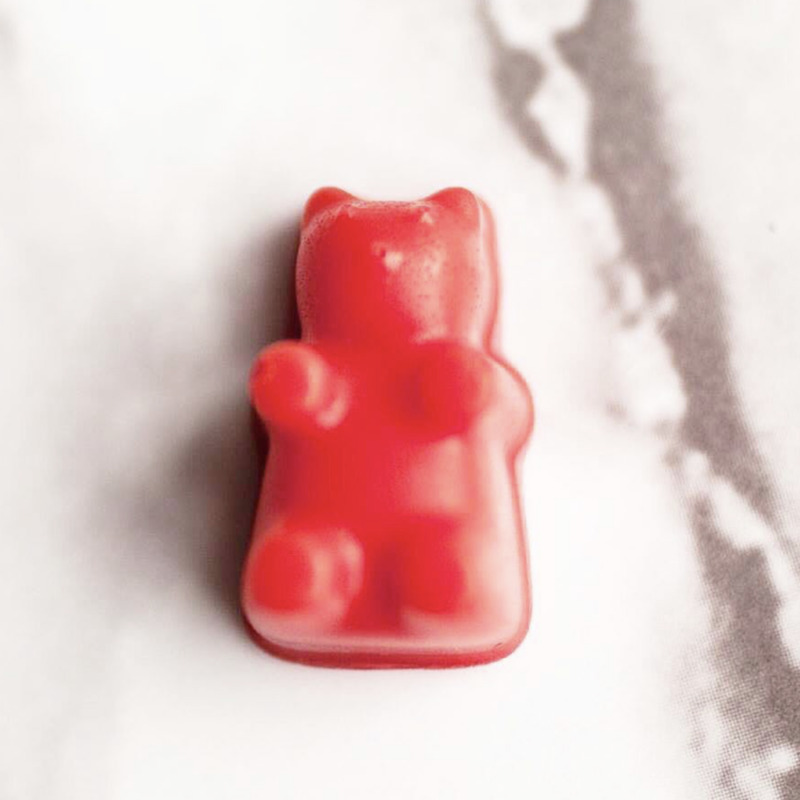 Make your own keto gummies! These are so super simple and you can have fun with them by using different molds and flavors of sugar free jello. I like to add heavy whipping cream, which is totally optional but adds a nice creaminess. Full fat coconut cream also works if you are dairy free. It makes 24 little bears and the whole batch only have 4g of total carbs. Store gummies in airtight container in the refrigerator. Enjoy! 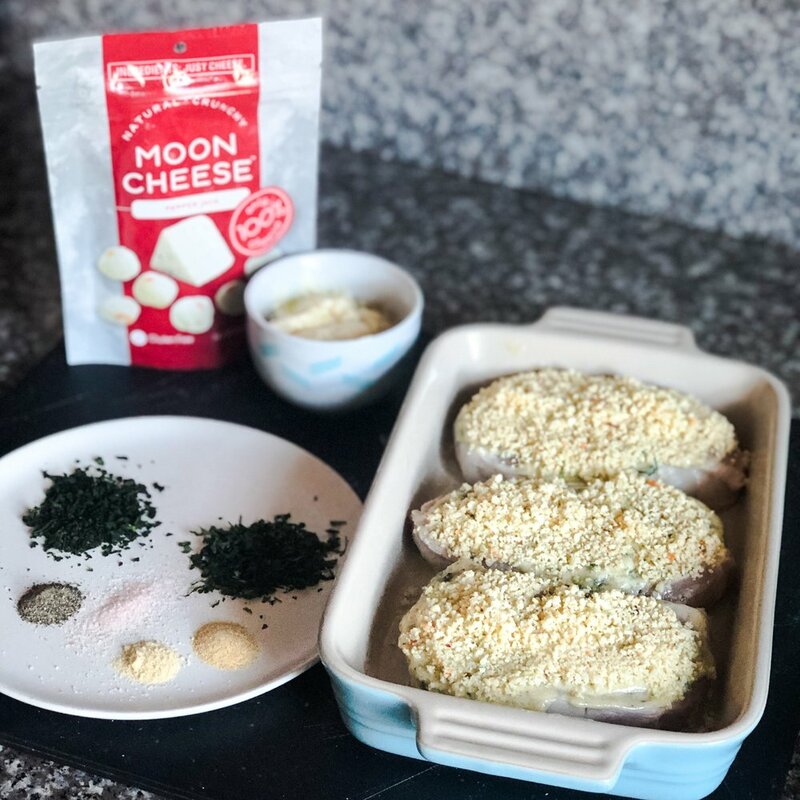 Cheese is life, everyone knows that and one of my favorite ways to eat cheese is those crispy little nuggets of goodness called Moon Cheese! It’s just cheese, just crispy! I first discovered Moon Cheese a couple years ago at Starbucks. I was super excited to find a snack option there that was keto-friendly, delicious, and contains high quality protein. I often use my Starbucks Rewards to buy myself more Moon Cheese! My Keto Snack Box: Moon Cheese, seaweed, pepperoni and macadamia nuts. I like to keep bags of Moon Cheese in my office and my car. You don’t need to refrigerate it, so it’s perfect for traveling or when you’re on the go. I often bring it to my daughter’s volleyball tournaments because the keto-friendly options at those are super limited. The flavors range from 0g-1g of carbs per serving which is awesome. Nothing weird is added to these. Cheddar, Gouda and Pepper Jack are the flavors I have tried, but when I went to their website they also have Mozzarella and Sriracha which sounds amazing! Besides just snacking on them you can also use Moon Cheese in creative ways in the kitchen. They make awesome replacements for croutons on a salad or crackers with soup. You can also grind them up and use like you would a breadcrumb either in meatballs or as a crunchy breading on chicken, pork or fish. 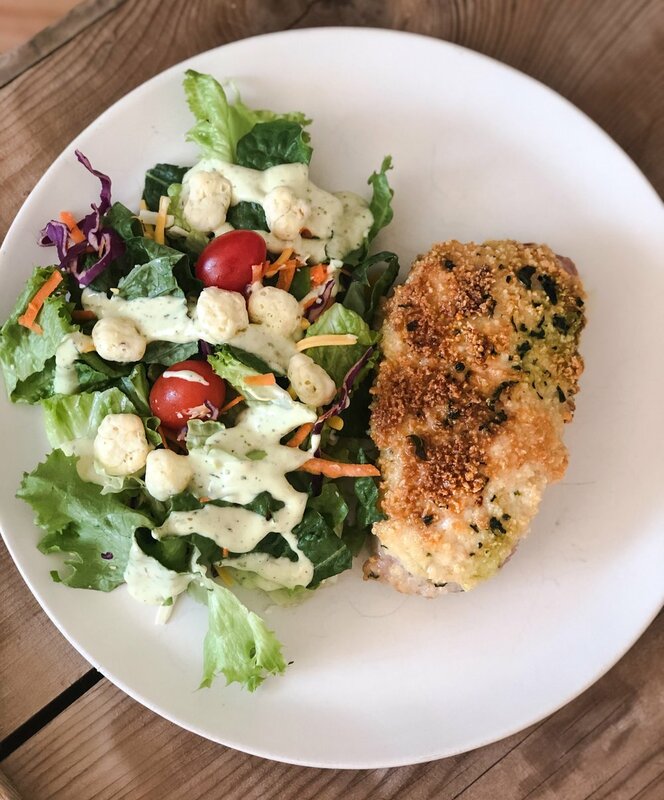 In my recipe for Moon Cheese Crunch Pork Chops the ground up Moon Cheese adds an awesome texture and flavor to the pork chops. Also depending on what flavor Moon Cheese you use you can play with different flavor combinations. For the recipe below I used Pepper Jack, but I’m definitely going to try it with other varieties as well. Moon Cheese is available at Publix, Whole Foods, Target, Starbucks and more. 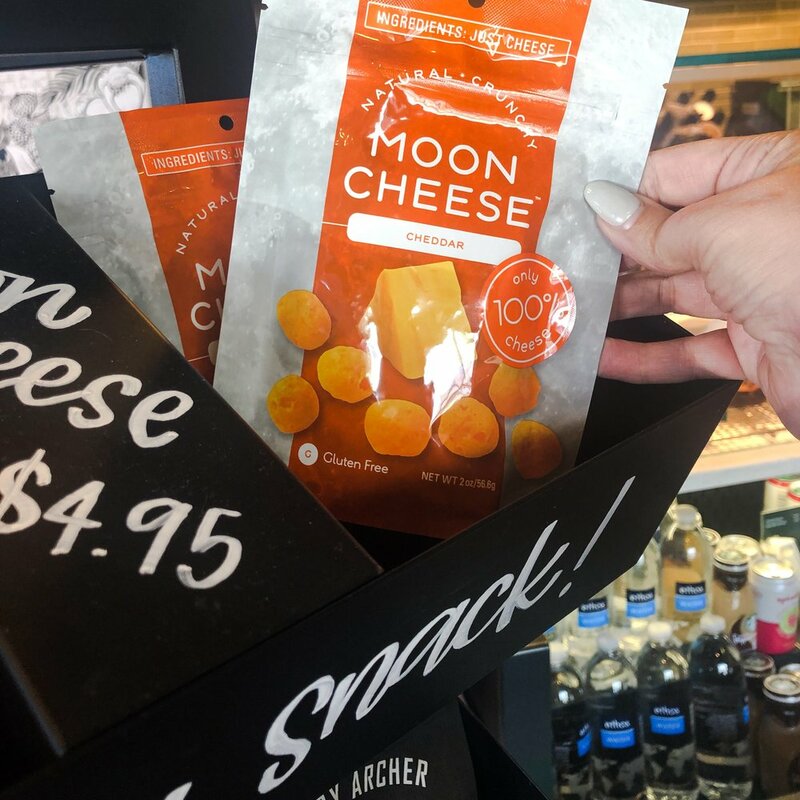 To find Moon Cheese near you use their Store Locator. Soury is the owner of Kawaii Treats and Eats, which sells keto friendly pancake, brownie, cookie and cake mixes! The mixes are sugar free, gluten free, and don’t contain anything artificial. 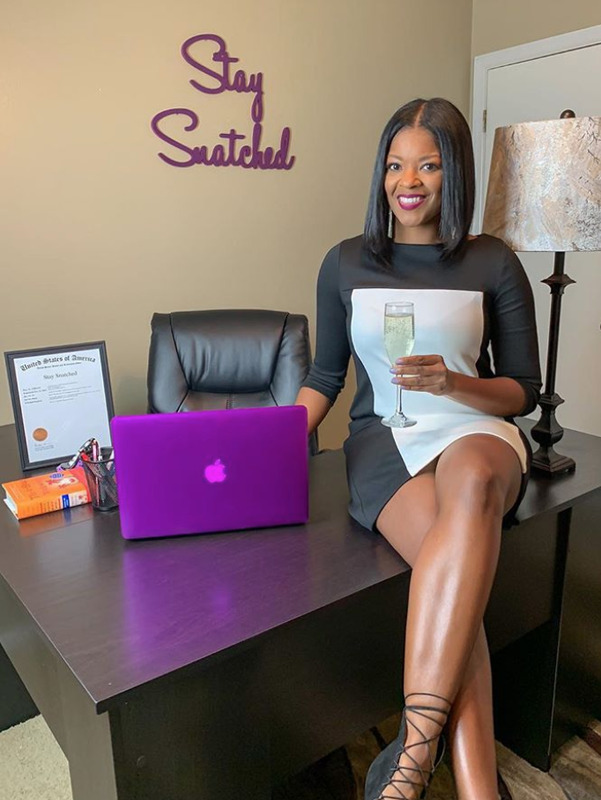 She has always been a baker and a candy maker of the "carby" kind, but it wasn't until Soury started living a ketogenic lifestyle that she realized there was a great need. A need for low carb mixes with clean ingredients, where taste wasn't compromised. This is how Kawaii Treats and Eats was born! How long have you been keto? What led you to this way of eating? Honestly, I was tired of being embarrassed to have my photo taken, tired of shopping in the plus size section, and tired of feeling uncomfortable in my own skin. Each year the pounds were slowing creeping on, and each year I’d go up a pant size. A friend of mine mentioned the keto diet and said she was having good success on it, so I researched and decided to give it a try. What are some of your go-to meals at home? I LOVE stuffed poblanos! It doesn’t matter with what, it if sounds remotely good, I’ll try it, haha. I also love stirfry and curries, and incorporating miracle noodles into my meals. What about when you eat out? Chipotle or five guys are my favorites! What is one thing that has helped make your keto journey a little easier? Definitely at the top of the list, the keto community! I’m not sure if I would have last this long without their support and other sharing their knowledge and journey. 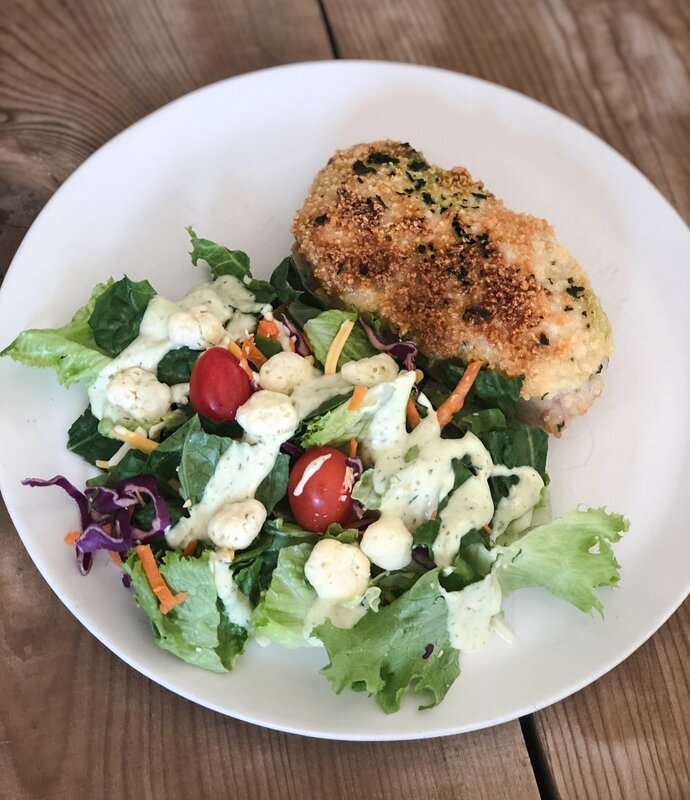 Do you have any tips for people who are just starting keto? Keep it simple, your food and your approach. Research the basics and ease into it, don’t get overwhelmed by all the “extras”. At its core, keto has some very basic principles, the rest will come with time. Taking my poblano pepper obsession to a whole new level! This is now one of my new favorites because it's creamy, cheesy, comforting and is a cross between 2 foods I really love - lasagna and meatloaf ;) If you've never had a poblano, it's a fairly mild pepper, just make sure to remove all of the seeds. Here's what you'll need 2 large servings (or 3 smaller servings). 1. Pre-heat oven to 375 degrees and line an 8x8 pan with parchment paper. 2. In a large mixing bowl combine the first 8 ingredients (beef thru sea salt). Blend well with hands, you're basically making a meatloaf. set aside. 3. Carefully slice the poblano in half, lengthwise. Remove all of the seeds, trim off a little towards the top edges if you need to, to make it flat, like a sheet of pasta. A little extra isn't a problem though. Lay pepper halves in pan, skin side down. 4. Wash hands with soap to get pepper oil off! 5. Dollop meat mixture over peppers, then press evening into pan. 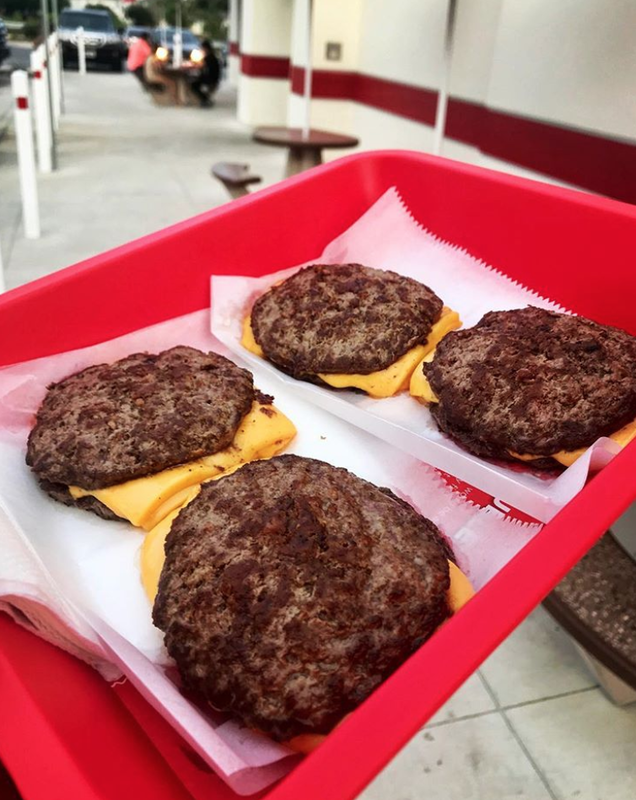 Basically, a large sheet of meat mixture. 6. Spread marinara sauce over all the meat, dollop cream cheese all over, top with the sliced cheese, cover with foil and bake for 35 minutes. 7. Check to make sure meat is fully cooked at 35 minutes, if so take foil off and broil for a few minutes to finish of the cheese on top. 8. I cut mine into 4 (or 6) squares, and stack them on my plate to get the 2-layered look. Blueberries are my favorite fruit, and blackberries are a close second. So I created a creamy, refreshing ice pop using both. The color of these ice pops is gorgeous! These also make yummy fat bombs! In a food processor (or blender), mix together the coconut cream, sweetener, and vanilla. Add the mixed berries, and pulse just a few times so the blueberries retain their texture. Pour into ice pop molds and freeze for at least 2 hours before serving. I’m currently not strict keto, 80% strict keto, 20% freestyle. I started keto 2 years ago and met my body goals within a few months. After that, I struggled to stay strict keto without losing weight. I’m very active in the gym. I exercise 4-5 times per week, and incorporate complex carbs twice a week. I am addicted to carbs like bread and pasta. I crave them. I love that while in ketosis my cravings disappear. I started keto with the goal to lose some weight, but more so, to find a way to deal with my cravings. What I love most is the mental clarity. I make seafood like salmon and scallops often. I typically pair it with cheese stuffed mushrooms and green veggies like broccoli and green beans. Creating my own recipes has helped a ton. There is so much information available online and via social media. I do a lot of research and then I freestyle and come up with my own creations. Gather the tools necessary to commit to a keto lifestyle. The most important tool is knowledge. Research what keto is and how ketosis works. From there, arm yourself (I say arm yourself because it can feel like you are going to war with your old self) with all of the food needed to prepare your meals. Plan your meals in advance. If you have an outing scheduled, check the menu before you arrive to select what keto-friendly items are available. Planning is very essential. Line a sheet pan with paper towels. Place the zucchini noodles on the paper towels. Sprinkle with the 1/4 teaspoon of salt. Allow the zucchini to sit for 30 minutes to sweat out excess water. Heat a skillet on medium-high heat. Add the olive oil, shrimp, and minced garlic. Cook each side of the shrimp for 1-2 minutes until bright pink. Remove the shrimp from the skillet and set aside on a plate. Add the butter to the skillet on medium heat. Allow the butter to partially melt and then add the chunks of cream cheese, Parmesan reggiano, heavy cream, red pepper flakes, and salt and pepper to taste. Stir continuously until the cheese has melted. The cream cheese may take some time to dissolve. Add the shrimp and zucchini noodles to the pan. Stir to coat the zucchini. Cook for 3-4 minutes until the zucchini softens. A creamy slow-cooker meal is perfect for those chilly days. You can make this dish very quickly and then enjoy the aromas for the next 4 hours while it cooks. The fresh spinach added toward the end of the cooking time adds beautiful color and freshness. In a medium skillet over medium-high heat, melt the ghee. Add the chicken and cook, about 4 minutes on each side, until brown. With the crock insert in place, transfer the chicken to the slow cooker. Set the slow cooker to low. In a small bowl, mix to combine the Alfredo sauce, sun-dried tomatoes, and Parmesan cheese, and season the pink salt and pepper. Pour the sauce over the chicken. Cover and cook on low for 4 hours, or until the chicken is cooked through. Add the fresh spinach. Cover and cook for 5 minutes more, until the spinach is slightly wilted, and serve. Substitution tip: You can replace the chicken with pork chops and follow the same instructions. I gained 60lbs from my back to back pregnancies and I had no energy to keep up with my babies. I knew I needed to change something but I also knew I didn’t want to starve myself and feel deprived. I had also tried “The Atkins Diet” before but I was turned off from all the shakes and bars they offered. Even though I was seeing results I didn’t like the way I felt after having them. While researching recipes for Atkins/Low Carb I started seeing the word “keto” and I began to research and realized this was the way of eating I’d been looking for. 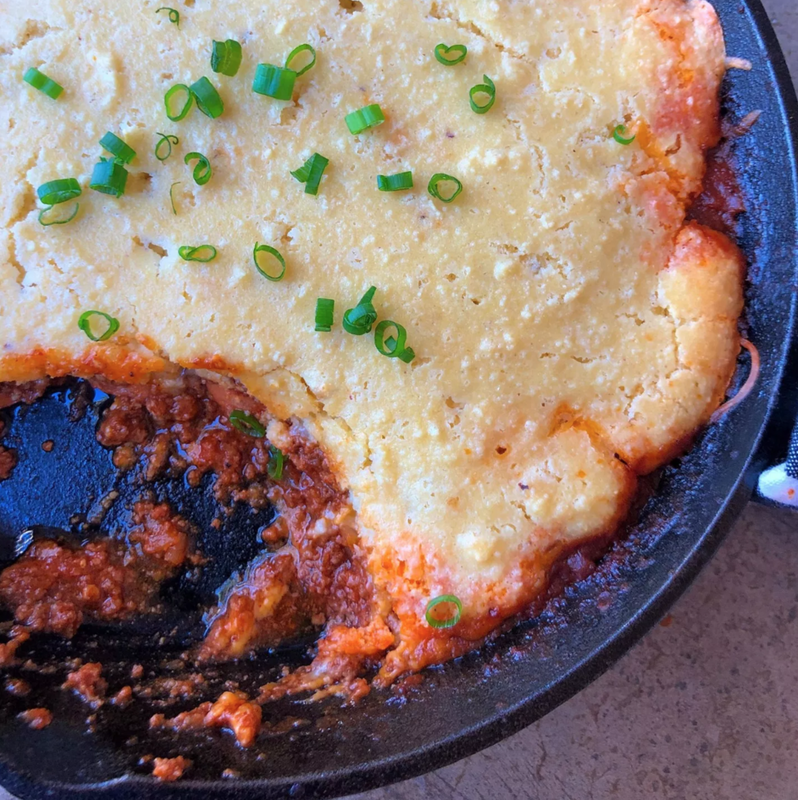 My Low Carb Chili and Cornbread Skillet is always requested by my fiance. It’s very cozy and comforting. 2. Egg Roll in a Bowl is delicious and easy. 3. Zuchinni Pizza Casserole is also one of our favorites! We rarely eat out. Maybe one meal a week unless we’re really busy. For fast food we love The Habit. I always get their “Santa Barbara Char Burger” lettuce wrapped, it’s packed with fresh mashed avocado. So good! For a sit down restaurant we love ramen. Our favorite place is Shin Sen Gumi. I ask them for no noodles and pretend bean sprouts are the noodles. Well, I just tried the vanilla almond Stoka bar last night and it was incredible! It reminded me of those granola bars in a green wrapper that I used to eat when I was little. For a fresh snack, my go to is usually pork rinds with my Sour Cream Dill Pickle Dip! Ever since I started practicing eating keto I really began craving pickles and anything briney. Maybe that’s my body’s way of telling me that I need more electrolytes. Honestly, opening my @kindketomama account on IG has really helped me because it helped hold me accountable. The community there is also really positive and helpful. They root me on and visa versa. I’ve also learned so much from everyone there. 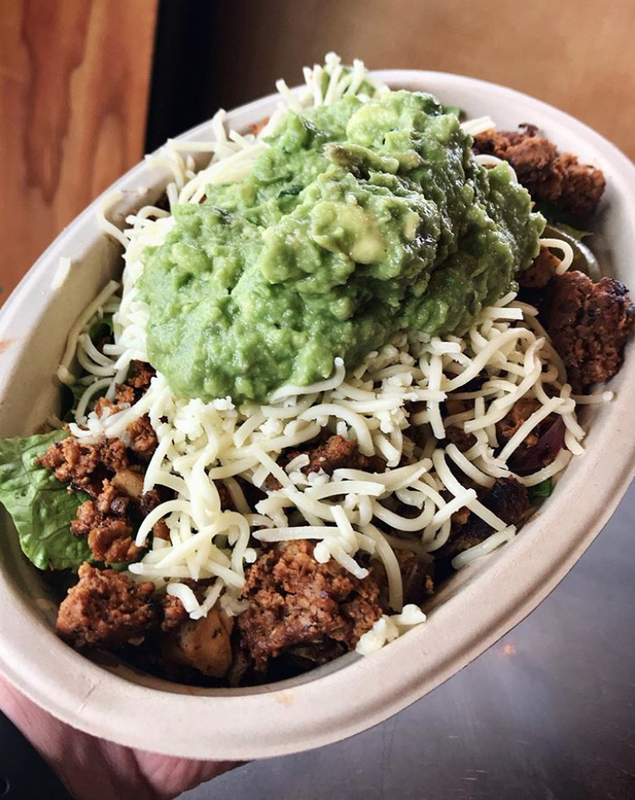 We all post helpful tips and recommendations on how to ketofy your favorite foods. People message me all the time for tips and I always tell them to make electrolytes a priority from day 1! When we cut down our carb intake, our body flushes out a lot of fluids and in turn it flushes out electrolytes. I supplement by adding extra himalayan salt to my meals and also adding “Nu Salt” potassium to my apple cider vinegar drink. I have the recipe for that in my highlights on my instagram. I drink that 1-2 times a day. I mentioned this dip above. It’s really good with pork rinds, flax crackers or even sliced veggies. It’s a big hit at parties, not just for us keto folk but everyone else too! In a medium bowl combine the sour cream and pickle juice. Continue stirring until completely combined. Out of curiosity really. I lost 100lbs doing IIFYM and then heard about the ketogenic diet as a method of biohacking (cognitive improvement, satiation, more energy). I began researching the science behind it and decided to give it a shot. Since I’m a bit of a foodie, I loved that everything tasted amazing (because fat!). After a few months on the diet I was hooked and have been strict keto since. I also do heavy strength training so I’ll often eat large protein heavy meals which will inevitably raise eyebrows when I order enough food to feed a small family. I make chicken crust pizza pretty often since there are lots of topping variations, but a ribeye steak is my favorite go-to meal. Bun-less burgers, fajitas, steaks and since I live in Texas, lots and lots of BBQ. Cheesecake Fluff! I make a batch of it nearly every week. The Keto community! Everyone is so supportive and encouraging of each other’s progress and personal victories. I’ve made so many friends and connections within the community that it makes this so much more than just a way of eating. Do you research. I spent several months devouring information, science publications, podcasts… anything I could get my hands on. It’s helped me better understand how the body works in ketosis which ultimately made it easier to eat intuitively. Add sweetener, lemon, konjac flour and 4 drops of red food coloring and stir for about a minute. Stir all ingredients in a medium bowl and press the dough into the prepared pan. Cook in oven for 10-12 minutes until barely golden. Let cool completely. Beat the cream cheese and powdered sweetener at medium-low until fluffy. Add eggs, one at a time, while continuing to beat. Finally, add lemon, vanilla, sour cream and strawberry compote to batter and mix through. Open oven door and let cool for one hour, and further cool on wire rack to room temperature before placing in refrigerator to cool overnight (this prevents it from cracking). Serve with whipped cream and fresh strawberries. Patrick also has an EggNog Cheesecake recipe on his IG! Merry Christmas my keto friends! 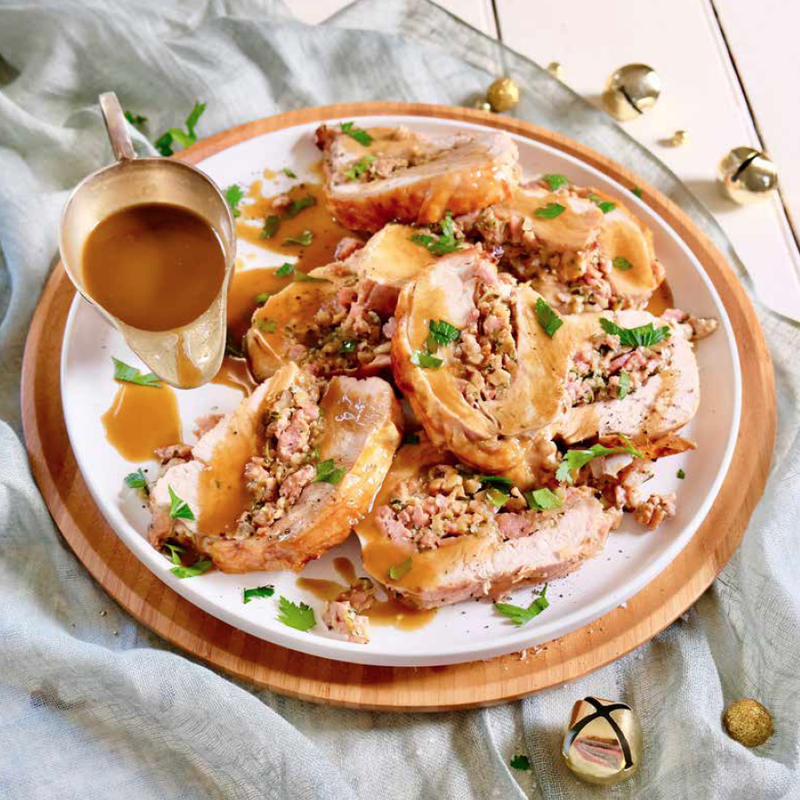 If you are looking for some festive holiday food then look no further! 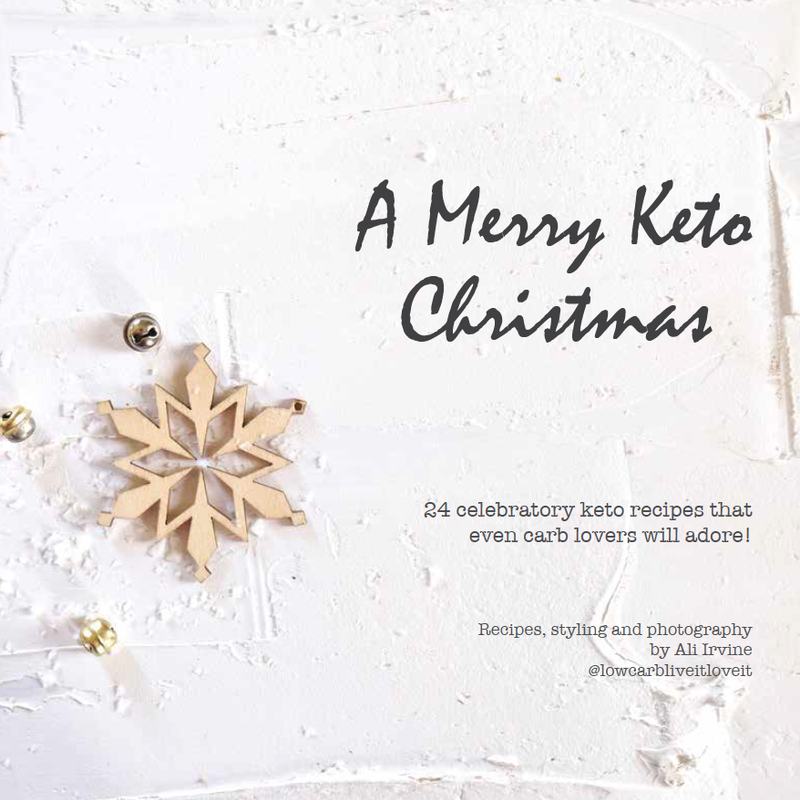 My friend Ali has written an awesome Christmas Ebook with 24 celebratory keto recipes! Even the carb lovers in your life will love these recipes. 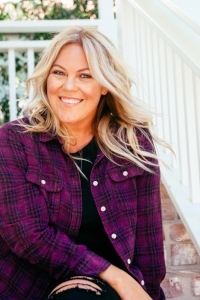 Ali is a recipe developer and food stylist based in Australia and the ebook is filled with beautiful pictures of every recipe. Ali was kind enough to let me share this scrumptious dessert recipe with you guys to give you a sneak peek of the deliciousness included in this ebook. Preheat the oven to 350F. Line the base of a 9 inch springform cake tin with baking paper. To make the base - toast the coconut in the cake tin for 5 minutes until golden. Melt the butter and sweetener together in the microwave. Tip the toasted coconut into a bowl, add the butter, Natvia and almond meal, stir well to combine. Tip into the lined cake tin and press into the base. Bake for 10 minutes, remove and place in the freezer to chill while you make the mousse. To make the mousse - melt the chocolate and butter together in a large heatproof bowl over a pan of gently simmering water. Stir until smooth, set aside to cool slightly. Whip the egg whites and sweetener with electric beaters to form stiff peaks. Whip the cream and vanilla with electric beaters to form soft peaks. Stir the egg yolks into the cooled chocolate. Stir in half of the egg whites to loosen the mixture. Gently fold in the second half of the egg whites. Fold in the whipped cream, then pour on top of the cooled base. 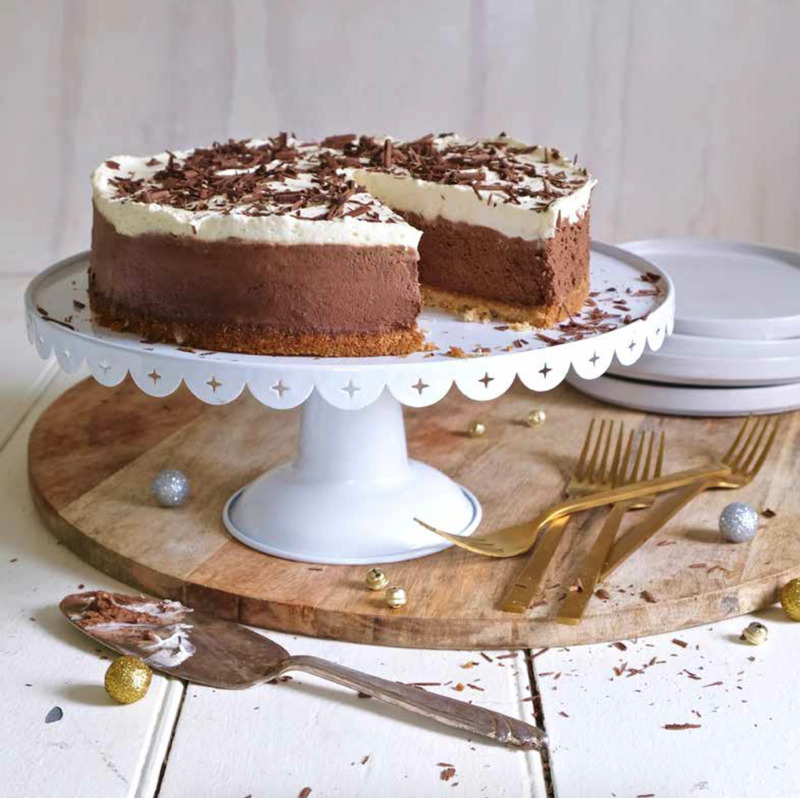 To make the topping – whip the remaining cream, Natvia and vanilla to form soft peaks. Spoon over the chocolate mousse layer and refrigerate for 4 hours or overnight to set. Grate the remaining chocolate over the top to serve. I love making wings and this easy method that combines the slow cooker and the broiler is my favorite. It is certainly not the quickest method, but they are worth the wait! Add wings and season them with salt, pepper, and Italian seasoning. Then pour 3/4 of the bottle of buffalo sauce over the wings and 3/4 of the stick of butter. Cook thawed wings for 4 hours on low in slow cooker, stir occasionally. If wings are frozen I cook them on high for 1 1/2 hour and then turn it down to low for last 2 1/2 hours. Then after 4 hours, turn broiler to high. Add other 1/4 of the bottle of Buffalo Sauce, 1/4 stick of butter, and 3 tbsp of garlic to a small saucepan. Heat on medium low heat until butter melts and sauce combines. Place rack on cookie sheet and spray with nonstick spray. I also put parchment on the cookie sheet just to make clean up a little easier. Place 1/2 of wings on the cookie sheet and use a brush to brush sauce from saucepan onto the top of the wings. Place in broiler for about 15 minutes, or until top gets a bit charred. I like my wings crispy, if you don't you can pull them out a bit earlier. Pull wings out, flip them and brush more sauce on other side, place back under the broiler. The 2nd side doesn't take as long, 5-10 minutes or until they reach desired crispiness. Repeat steps 7-9 for second 1/2 of wings. Serve with ranch or blue cheese!